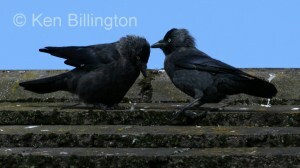 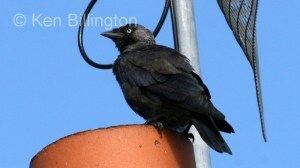 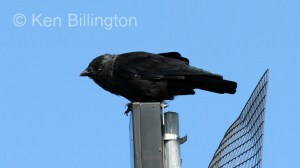 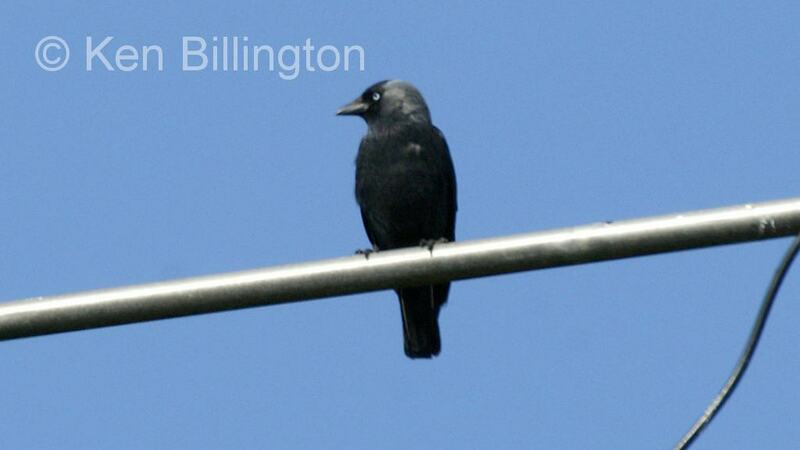 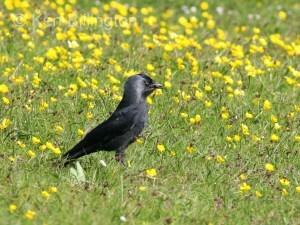 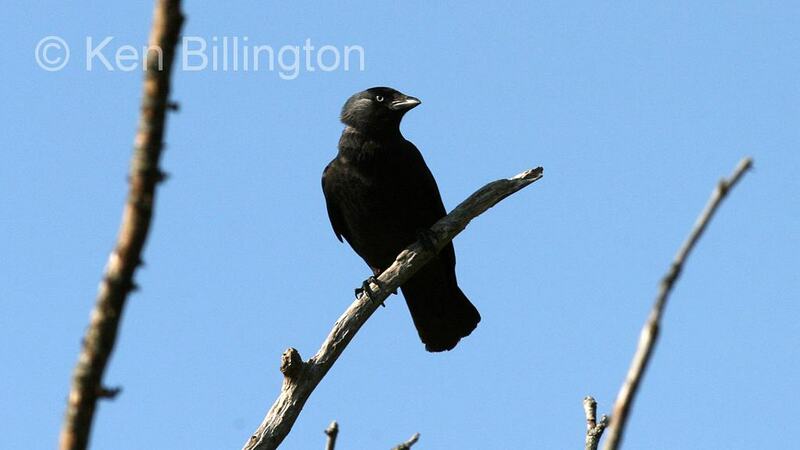 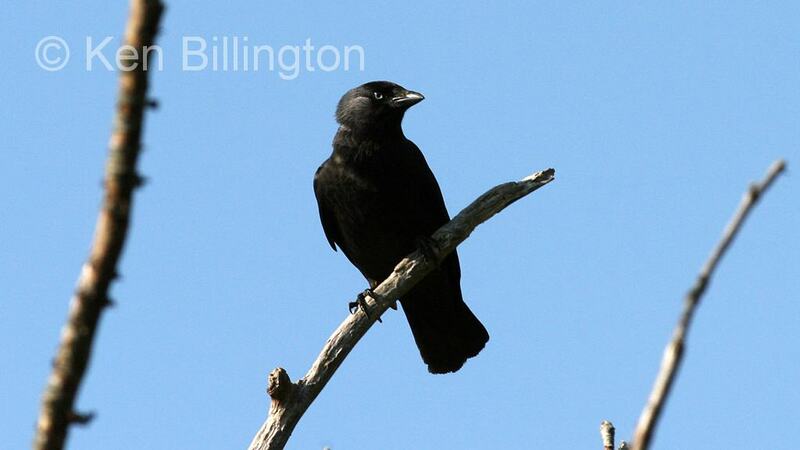 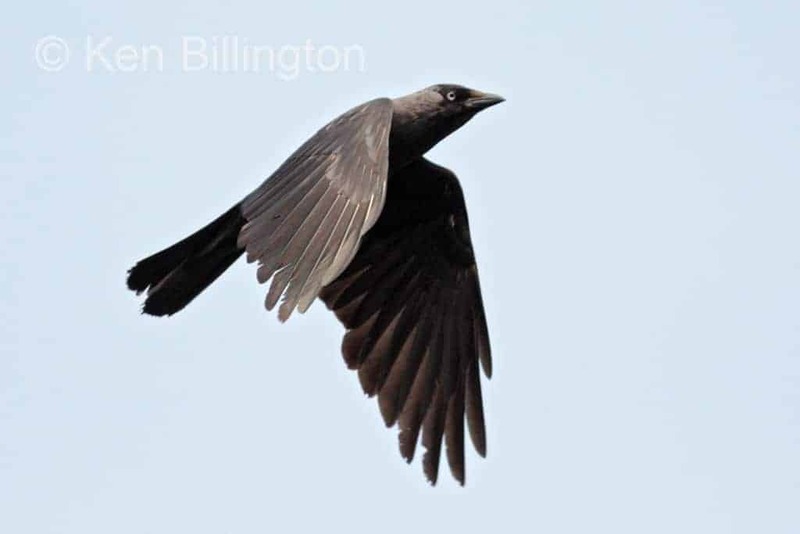 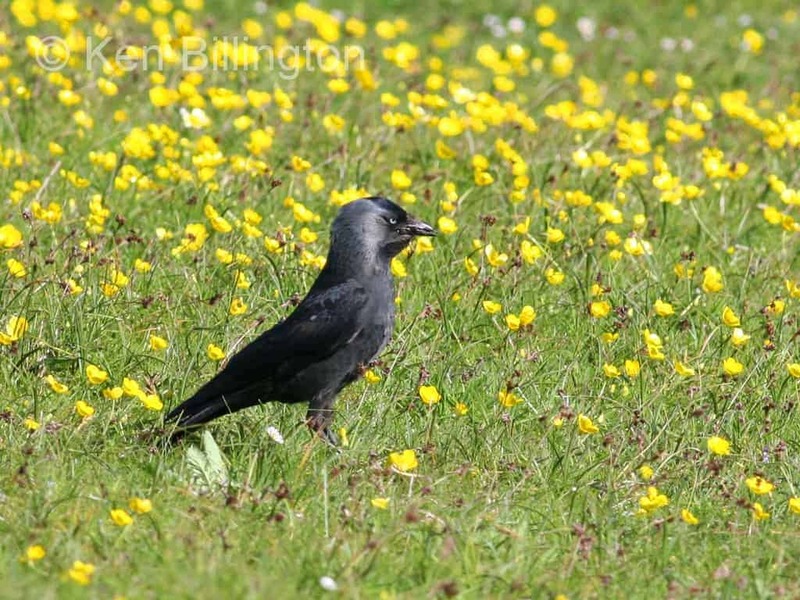 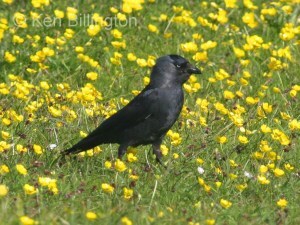 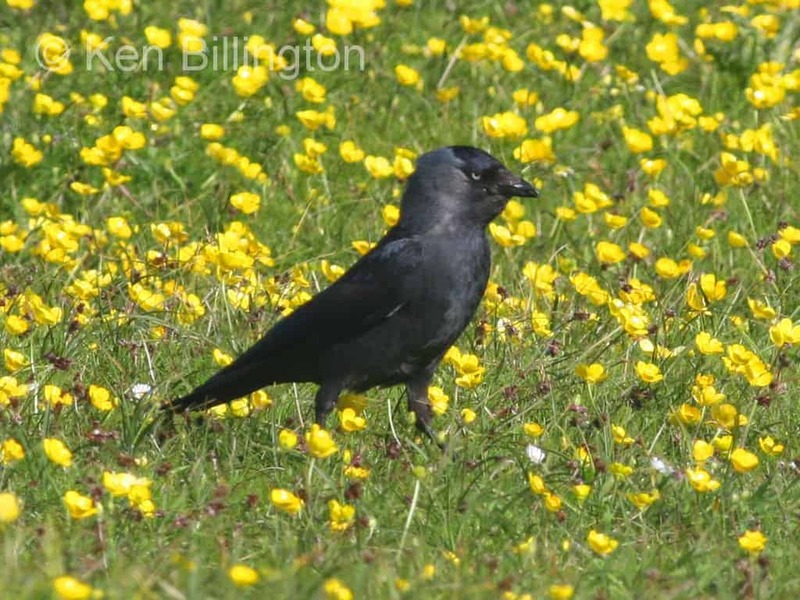 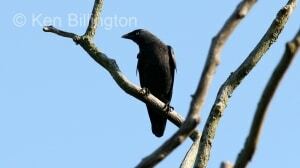 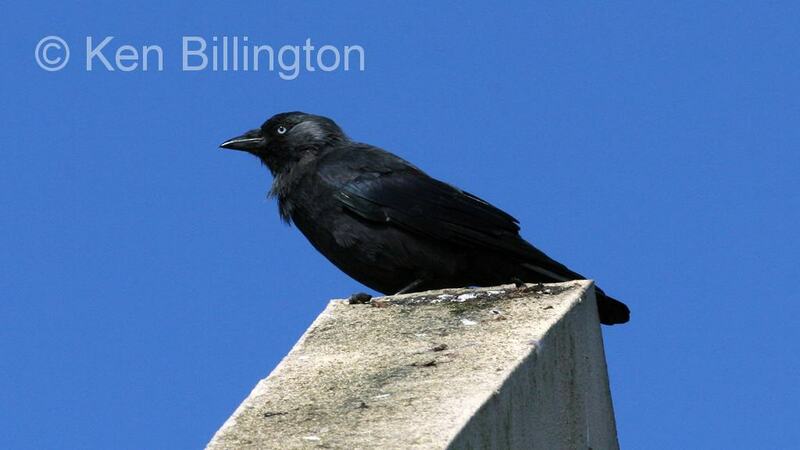 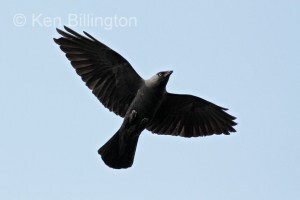 The Jackdaw (Corvus monedula) is one of the smallest species (34 to 39 cm in length) in the genus of crows and ravens. 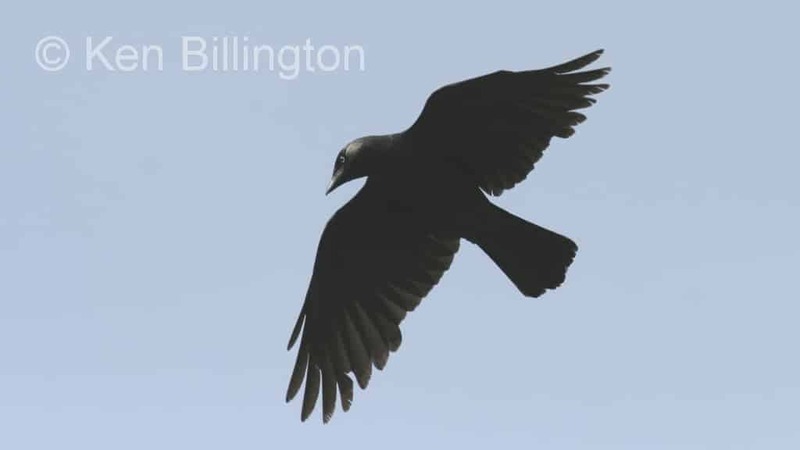 It is a black-plumaged bird with grey nape and distinctive white irises. 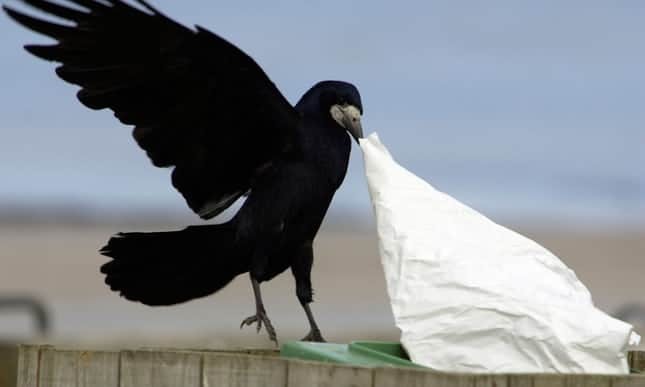 Like all corvids, it is omnivorous. It is found across Europe, western Asia and North Africa. 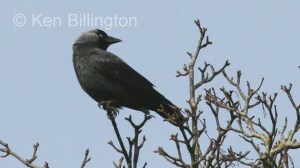 Four subspecies are currently recognised.